From September, all heating-only CDR boilers in the Alpha range will be available with a three year parts and labour guarantee. The cover, extended to three years from just the one, is a reflection of the firm’s confidence in the product and its reliability, it said. The three year guarantee brings the boilers in line with the rest of the products in the Alpha range and means if any component in the CDR fails within three years of installation, it will be replaced free of charge. The CDR range consists of three models – the CD13R, CD18R and CD24R – which all measure only 600 x 390 x 305mm meaning they can be situated into the tightest of gaps in the home. And with the latter of the range being the heaviest, weighing in at 28kg, they all can be fitted by just one person. The CDR range is SEDBUK Band ‘A’ efficiency rated and can operate of an open-vented system, making them ideal as replacements for traditional installation scenarios. And to enhance efficiency, all CDR boilers can be installed with the Alpha GasSaver – a compact unit that fits above the boiler that extracts heat from waste gases that are usually expelled into the atmosphere through the boiler flue. 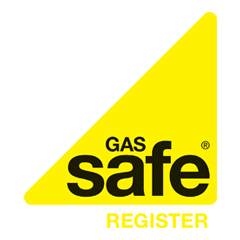 The heat is then used to pre-heat cold mains water, reducing the amount of gas required by the boiler and resultantly reducing gas bills and carbon emissions.